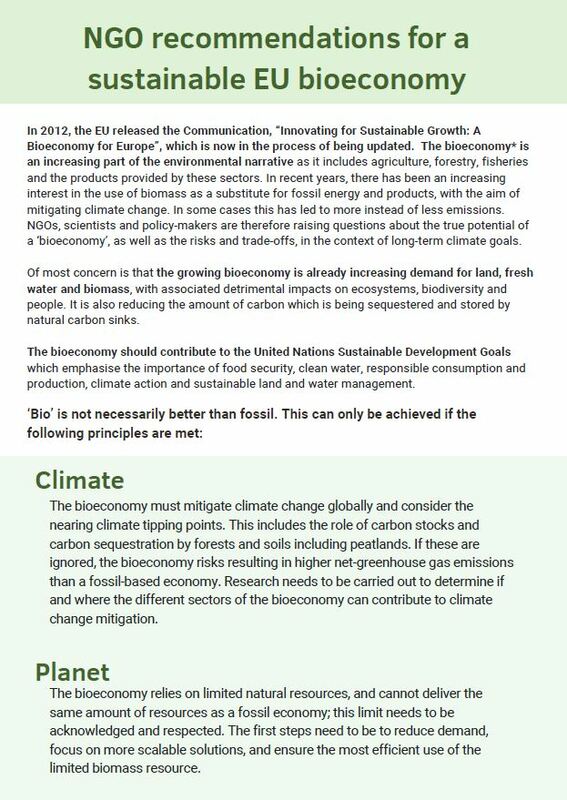 In 2012, the EU released the Communication, “Innovating for Sustainable Growth: A Bioeconomy for Europe”, which is now in the process of being updated. The bioeconomy is an increasing part of the environmental narrative as it includes agriculture, forestry, fisheries and the products provided by these sectors. NGOs, scientists and policy-makers are therefore raising questions about the true potential of a ‘bioeconomy’, as well as the risks and trade-offs, in the context of long-term climate goals.